Description: BlogrCart MNMLIS FREEMIUM Store Blogger Templates is is an e-commerce inspired Blogger (formerly Blogspot) theme/template. 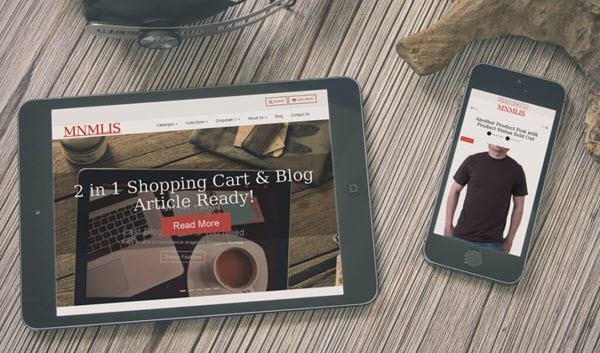 Create a Blogger store & publish an article with 1 Blog (PROtheme)! Responsive Bootstrap 3 framework mobile first design technology. With Instagram feed ready, showcase your social promotions right on your website (or blog).